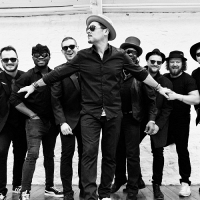 The Dualers are a Croydon-based ska, soul and reggae band, formed by brothers Si and Tyber Cranstoun. The Dualers' debut single, 'Kiss On The Lips', was released in 2004. Si left the band in 2010 to pursue a solo career.